Pat Smythe was the sport’s first international equestrian icon and the greatest female show jumper of her era. In 1957, she became the first rider to forge an auspicious partnership with Rolex, becoming the brand’s first equestrian Testimonee. 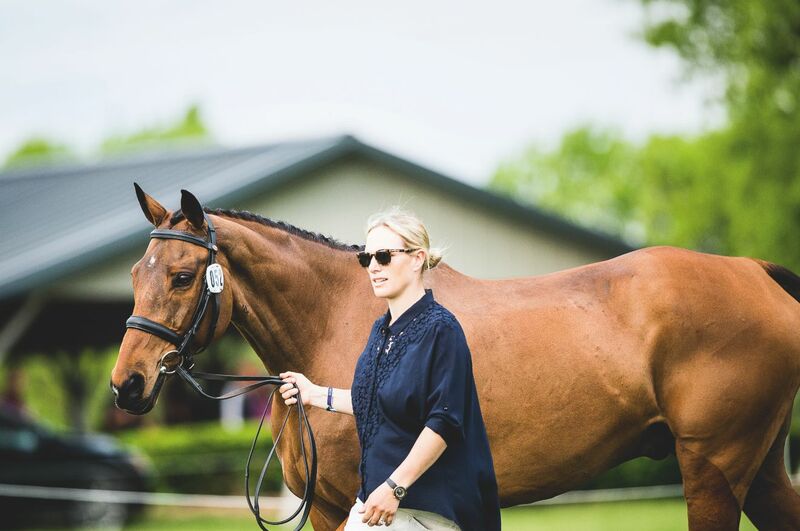 Her ground-breaking career at the top of the sport paved the way for women riders – a mantel carried forward today by the British equestrian star, Zara Tindall, who Rolex welcomed in to their family of equestrian Testimonees in 2006. “I can remember reading about Pat Smythe when I was a child,” recalled Zara. “She was highly regarded in Britain and the inspiration for a lot of young women who went on to become top riders. It’s incredible to think that she was the first Rolex Testimonee all those years ago. She was one of the first to establish a path for women in the sport and to prove that equestrianism had the global popularity to be massively successful. Zara Tindall has mirrored Pat Smythe’s achievement as a Rolex Testimonee to become one of the world’s greatest Three-Day Event riders. “I think young riders always look for a role model like Pat, especially at a young age,” said Zara, who was a Great Britain Team silver medal winner at the 2012 London Olympics and the Individual champion at the World Equestrian Games in 2006. She also helped Great Britain secure a silver medal at the World Equestrian Games in 2014. Zara’s inspiration for the sport naturally derives from her parents, who are both accomplished riders. Her mother Anne, the Princess Royal, won European eventing gold in 1971. Her Royal Highness also rode for Team GB at the 1976 Olympics, as well as being the first member of the Royal Family to compete at an Olympic Games. Her career blossomed with the handsome chestnut gelding Toytown, a competitive partnership that lasted until 2011. The pair won Individual and Team gold medals at the 2005 European Eventing Championship in Blenheim, UK. The following year she went on to win Individual gold and Team silver medals at the 2006 FEI World Equestrian Games in Aachen, Germany. Zara was the reigning Eventing World Champion until 2010. After winning at the FEI World Equestrian Games in Aachen, Zara was voted 2006 BBC TV Sports Personality of the Year - an award her mother also won in 1971. It was in this year Zara became a Rolex Testimonee, joining an elite roster of sportsmen and women. Zara was appointed Member of the Order of the British Empire (MBE) in the 2007 New Year Honours List for services to equestrianism. Her career continued to flourish and she was selected to ride Toytown for Great Britain at the Beijing Olympic Games in 2008. Disappointment followed when Toytown suffered a training injury and the pair was forced to withdraw. “There are more low points than highs with horses, so it makes the high points even more special. Injuries happen all the time and there’s very little you can do about it. Tindall finished second at Luhmühlen Horse Trials 2013 in Germany on High Kingdom. Then at the World Equestrian Games in August 2014, the pair were also part of the British squad that won Team silver. It was a miraculous achievement, considering that her daughter, Mia, was born in January 2014, just seven months before the Games. “What surprised me about having a baby is losing all your fitness and how tough it is to get it back to a high level again. I do have help with Mia, otherwise I wouldn’t be able to ride. Eventing is physically demanding but I try to do extra exercise, like swimming and cycling, to stay fit. In 2015, just over a year after Mia was born, Zara attended the Rolex Kentucky Three-Day Event, a competition which attracts the world's best riders, with her prized horse High Kingdom, but due to an unfortunate injury they had to withdraw just before the start of the competition. 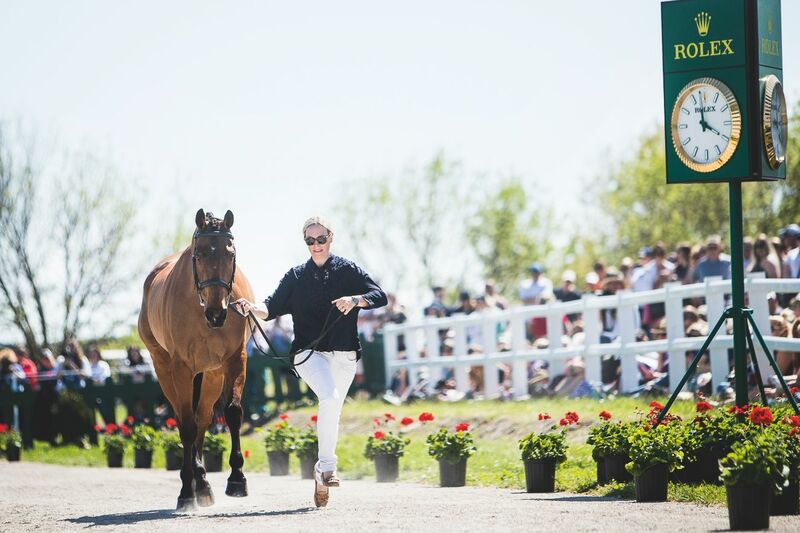 Zara is set to compete in the 2017 Kentucky event and is looking forward to a successful return. 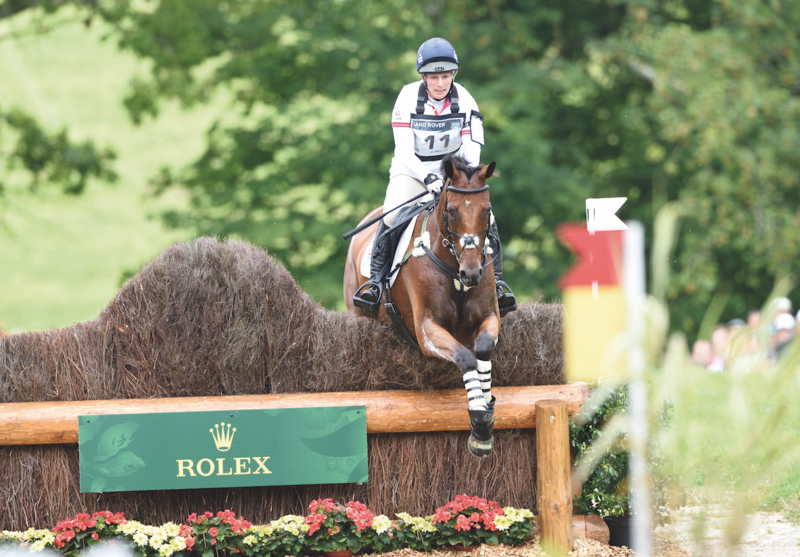 The winner has a chance to go on and win the Rolex Grand Slam of Eventing, which is awarded to any rider who wins the Rolex Kentucky, Badminton and Burghley competitions in succession. Rolex’s association with those excelling in their chosen field can be traced back to the very origins of the company. Founder Hans Wilsdorf firmly believed that his wristwatches should be both precise timekeepers and aesthetically beautiful – as well as highly adaptable to suit the increasingly active lifestyles of the 20th century. The development of the first waterproof wristwatch, the Rolex Oyster, in 1926, was a golden opportunity to prove that he had succeeded in doing just that. Mr. Wilsdorf was convinced that once the world could see his wristwatches thrive in the most challenging conditions; Rolex would become synonymous with chronometric precision and reliability. He decided to test their value and strength in the most extreme real world environments and sports. And so he equipped a young English swimmer, Mercedes Gleitze, with a RolexOyster when she swam the English Channel a year later in 1927. The watch emerged from more than 10 hours in the water in perfect working condition and Gleitze effectively became the first Rolex Testimonee – a witness to the watch’s uncompromised performance. Since that pivotal moment an elite selection of the world’s top athletes and artists have joined Ms Gleitze in becoming the standard-bearers of the brand and Zara is among them. Zara has featured in many advertising campaigns for Rolex over the last 11 years, but her love of Rolex watches predates even her equestrian awards. Her first Rolex timepiece was given to her by her godmother, Lady Helen Stewart, the wife of motor racing legend, Sir Jackie Stewart, himself a Rolex Testimonee. For both Sir Jackie and Zara, who have reached the pinnacle of their sport, each Rolex watch is an embodiment of the legendary milestones that mark their impressive careers – a symbol of success and achievement.